Morehouse College is one of the most searched for colleges in America, according to a recent internet keyword search of basic two and four year colleges. Morehouse, whose school slogan translates from Latin to “And There Was Light,” is a private, all male, historically black, four year liberal arts college, founded in 1867. Today, it is one of the few remaining traditional all male liberal arts colleges in America. 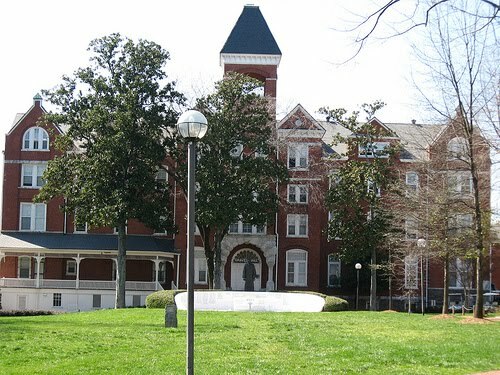 Morehouse is part of the Atlanta University Center, along with Spelman College, Morehouse School of Medicine, Clark Atlanta University, and the Interdenominational Theological Center. The undergraduate enrollment at Morehouse is roughly 2,200 students. The student faculty ratio is about 13 to 1. 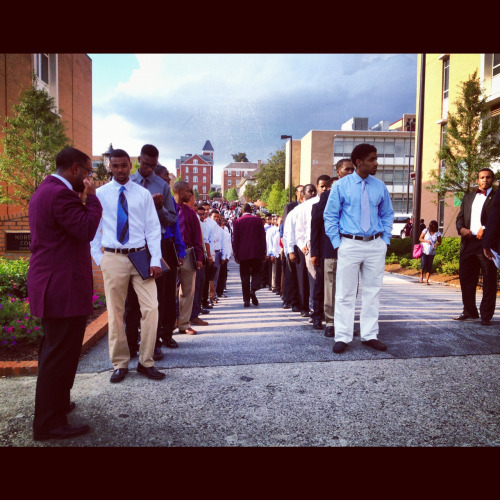 Morehouse exercises a semester-based school year. The application deadline for the fall semester at Morehouse is February 15th of each year. The acceptance rate for those who apply is 76 percent. Morehouse emphasizes the intellectual and character development of its students, and also assumes special responsibility for teaching the history and culture of black people in America. According to usnews.com, Morehouse ranks 4th in the nation out of 80 historically black colleges and universities. Morehouse has produced four Rhodes Scholars (Nima Warfield in 1994, Christopher Elders in 2001, Oluwabusayo Folarin in 2004, and Prince Abudu in 2015). Other notable Morehouse grads include actor Samuel L. Jackson, filmmaker Spike Lee, Olympic Gold medalist Edwin Moses, theologian Howard Thurman, and civil rights leader Dr. Martin Luther King Jr., to name just a few of the many successful individuals who helped put Morehouse College on the map. 1. Where is Morehouse College? 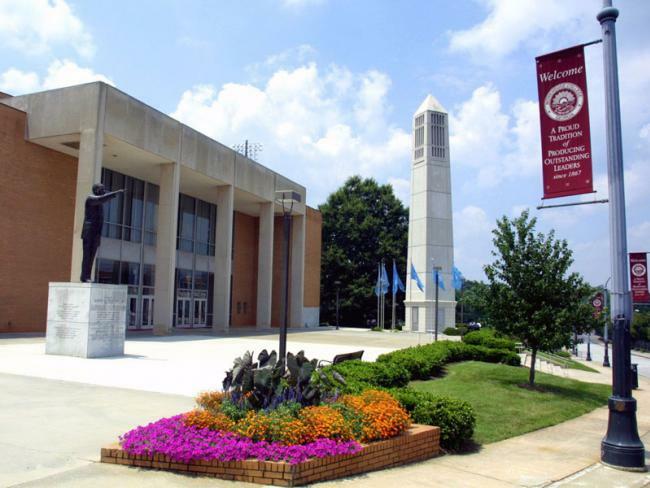 Morehouse is situated just across the street from Spelman College, an HBCU women's college. 2. 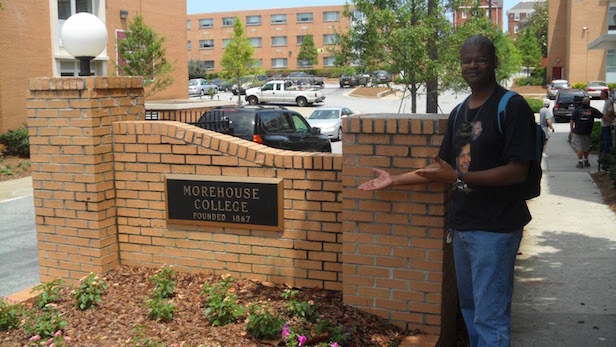 What courses and programs are offered at Morehouse College? 3. What types of certificates and degrees are available at Morehouse College? Morehouse offers Bachelor of Arts degrees and Bachelor of Science degrees in all of the above-mentioned categories and more. Students must complete all requirements for graduation in order to earn these degrees. Among the degree requirements are the completion of all required major courses with a grade point average of 2.00 or higher, and a minimum of two years in residence on campus. As for vocational certificates, Morehouse offers a Teacher certification in Early Childhood Education, as well as certificates for CPAs, Fraud Examiners, Internal Auditors, financial services professionals, and various government workers, among other administrative positions. 4. Who should attend Morehouse College? Morehouse is especially suitable to young men who are interested in the field of medicine, civil rights, or African American studies. However, the classes are so diverse that Morehouse would be of interest to most young men who live in the city of Atlanta, or in Atlanta's surrounding areas. African American men are especially encouraged to apply. Morehouse is for men who appreciate a life-changing, on-campus (as opposed to online) college experience. 5. Why attend Morehouse College? For starters, Morehouse has always offered an excellent liberal arts education. 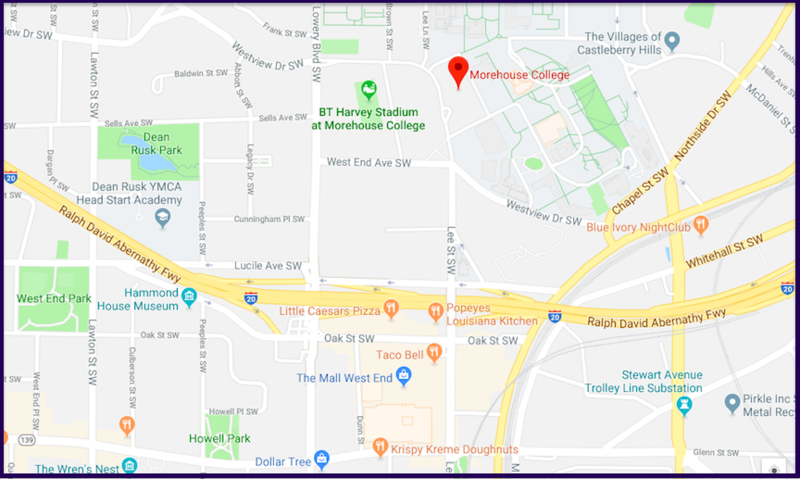 Another benefit of attending Morehouse is the college's convenient location just west of downtown Atlanta. Men who live in or around Atlanta will not have to travel far to get to Morehouse, and will find plenty to do when they get there. Morehouse is also a less expensive option than, for instance, Clark University just north of there. Benefits of attending a men's college include fewer social distractions. This equals more effective study time, but no worries. Women are easy enough to find. They're right across the street at Spelman College. Above all, Morehouse has what is known as “The Morehouse Mystique,” an undefinable, yet extraordinary quality that is the reason why Morehouse has graduated more African American men than any other college in America. 6. 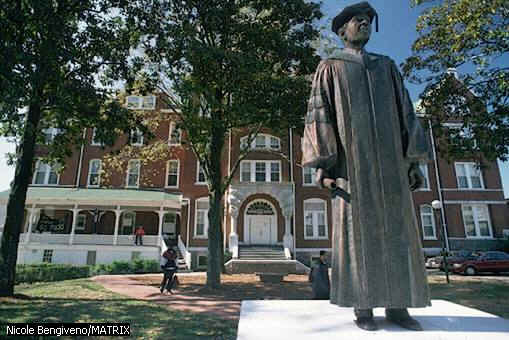 How much does it cost to attend Morehouse College? $28,283 for students who live off campus. The cost is slightly less for returning students. Financial aid is available for many who apply. Other fees also may apply, such as an application fee of $50. Additionally, there are academic fees and lab fees, among other types of fees. For specific details regarding additional fees, check the Morehouse website. 7. How long does it take to earn a degree or certificate at Morehouse College? For students who take a normal full time study load, it takes about four years (120 semester hours) of successful enrollment at Morehouse to earn a Bachelor of Arts degree or a Bachelor of Science degree. Some vocational certifications can be completed in two years. 8. What is the Morehouse College campus like? The Morehouse campus is situated in an urban neighborhood. The campus consists of 66 acres of gorgeous trees and grassy green lawns. The beautifully designed and well maintained brick buildings on campus include several student residence halls. The athletic teams at Morehouse are called the Maroon Tigers. The school colors are maroon and white. 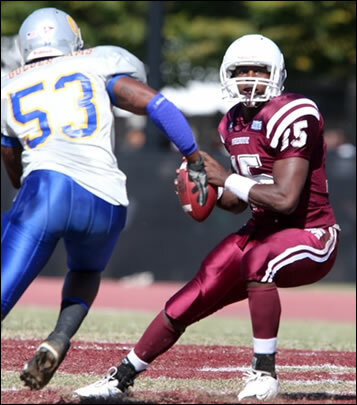 The Maroon Tigers are affiliated with the Southern Intercollegiate Athletic Conference (SIAC). Varsity sports at Morehouse include football, baseball, basketball, track & field, cross country running, tennis, golf, and an excellent swim team called the Tigersharks. Student life on the Morehouse campus also includes Army and Navy ROTC clubs, a marching band, a debate team, a glee club, a school newspaper, and several honor societies, along with other campus organizations and student interest groups. 9. What is the Morehouse College neighborhood like? Within easy walking distance of the Morehouse Campus is a Starbucks, an ATM, and several grassy green parks, not to mention Spelman College right across the street. Also nearby is the Ray Charles Performing Arts Center. Less than half a mile south of the Morehouse campus is the Mall West End and several convenient places to eat. Just north of the Morehouse campus is Clark Atlanta University. Other nearby attractions include the the amazing Underground Atlanta, the Georgia Aquarium, the College Football Hall of Fame, and many other top destinations, as Morehouse is located just west of downtown. 10. Does Morehouse College offer distance learning? Primarily, no. The Morehouse experience is a traditional campus experience that involves, among other things, students being required to spend at least two years living on the Morehouse campus. Some classes may involve partial distance learning. For a list of more than 50 top ranked online colleges, click the link at the bottom of this page. 11. What is the contact information for Morehouse College? You can contact the main switchboard of Morehouse by calling 470-639-0999.